REDWOOD CITY, CA – IBA Super Flyweight Champion, Bruno Escalante (12-1-1, 6 KOs), will defend his title against Victor Ruiz (12-2, 9 KOs) Saturday April 5, 2014, at the Cache Creek Casino Resort in Brooks, California. The 10-round bout will be the main event attraction of the evening. After making his 2014 debut a few weeks ago, a non title bout where de destroyed Lorenzo Trejo in one round, Escalante now faces his most dangerous opponent to date in Ruiz. 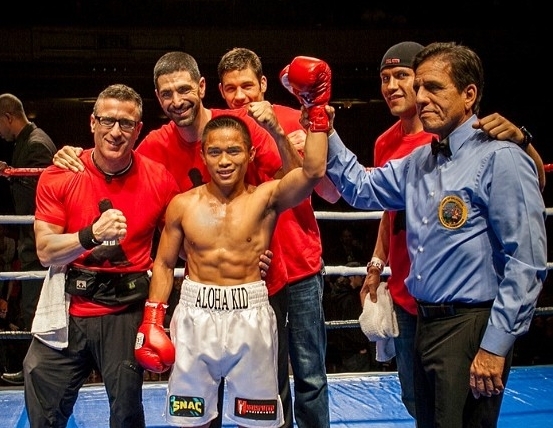 A focused Escalante, who resides in Redwood City California by way of Cebu, Philippines, knows he’s in a tough fight, but feels confident he’ll come out victorious. Ruiz, of Tijuana, Baja California, Mexico, has won nine of his last ten bouts. His most recent win came against Jaime Diaz, back in September of 2013. Although he hasn’t faced the level of competition that Escalante has, Ruiz promises to bring the fight to Bruno. Escalante is riding a 7-fight winning streak. His confidence is at an all time high as he looks to continue on his path to a major payday. A win against Ruiz will get him closer to a big-time fight. This bout is being promoted by Don Chargin Productions & Paco Presents. Tickets priced at $65, $95 and $125, are on sale now and can be purchased at cachecreek.com, tickets.com, and pacopresentsboxing.com. The weigh-in will take place at Cache Creek Casino Resort on Friday April 4 starting at 3 p.m. The Cache Creek Casino Resort is located at 14455 Highway 16 (at the corner of Wintun Road) in Brooks, California 95606. Doors open at 5:00 pm PT, first fight at 6:00 pm PT.